The medieval pilgrimage guidebook of William Brewyn of Canterbury. 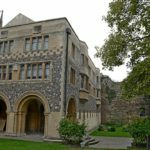 In the library at Canterbury Cathedral there is a small vellum volume dating from the later fifteenth century: a guidebook for pilgrims to Rome (now Canterbury, Cathedral Library & Archives, Add. MS 68). It is, plausibly, a book made both for travellers and for travelling – its small dimensions (the size of a paperback, 14cm high and 9.8cm wide) and its contents (almost all of which are concerned with pilgrimage, relics, and travel) suggest as much. 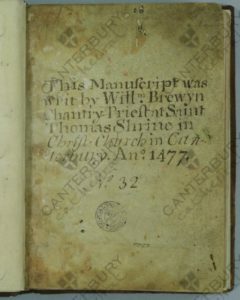 This little book has long been thought to be the personal pilgrimage guidebook of William Brewyn of Canterbury, whose name appears at several points throughout the book. Parts of Brewyn’s book were edited and translated in 1933 by the Kent historian C. Eveleigh Woodruff; most modern scholars who have mentioned Brewyn have relied on Woodruff’s incomplete and inaccurate edition, so I took the train to Canterbury to spend the day with the manuscript itself. Almost nothing secure is known about Brewyn, other than what he tells us about himself in this manuscript. Brewyn evidently spent a great deal of time in Rome in the 1460s, and was at Canterbury in 1470. Brewyn’s name appears in the text, for example at the end of his account of the Church of S. Cecilia in Trastevere: ‘Deo gracias quod Willelmo. Brewyn capellano’ (f. 37v): ‘Thanks be to God, says William Brewyn, chaplain.’ He says that he was personally present at Pope Paul II’s excommunication of various reprobates which took place at the door of St Peter’s at Easter 1469 (‘Michi Willelmo Brewyn Capellano tunc temporis ibi existenti et audienti’); he goes on to say that he copied the excommunication himself from the bull that the pope hung on the door (ff. 38v-40v). The miraculous gilded pine-cone from the Pantheon, which the devil sought to hurl at the Vatican, ‘can still be seen to this day’ (f. 21v), says Brewyn, in the courtyard at St Peter’s. At some points in the manuscript, the text does indeed read as if Brewyn is locating himself, devotionally, at each site he describes; for instance, at the end of his account of the church of S. Maria in Trastevere he writes ‘Jhesus miserere mei’ – ‘Jesus have mercy upon me’ (f. 37v). The perspective, voice, and soul of the individual pilgrim seem to be present. The eye-witness status of Brewyn’s book is suggested more compellingly by his itinerary from Calais to Rome (f. 40r). Here, Brewyn’s annotations certainly suggest not only a local familiarity with the route but also ongoing process of editing and correcting. At the German town of Bonn, Brewyn mixes Latin and English to say that ‘ibi fals shrewys summe’ (f. 40v), with another tart comment added above: ‘nisi meliorantur’: ‘unless they have improved’. At ‘Ulmys’ (Ulm) it pays to show one’s tonsure (‘monstra coronoam capitis pro tributo’) to evade the tax. At Memmingen, a comment has been added in the top margin (f. 41r) that the road is said to be fairly good, but further on the mountains begin (‘incipient montes’). In a list of currency exchanges, Brewyn’s authorial ‘I’ appears: ‘Ego Willelmus Brewyn capellanus’ (f. 42v), who got 2 Roman ducats for 9 English shillings. Intriguingly, the index to Brewyn’s book includes an itinerary of Jerusalem and the Holy Land (f. 4r). Here, Brewyn writes that he will describe the pilgrimages to be made in Nazareth, Jerusalem, the Holy Sepulchre, Mount Zion, Acheldama, the Valley of Jehosophat, the Temple, Bethlehem, Bethany, the River Jordan, Jericho, Mount Quarantine, ‘Galgala’, Cairo (‘Kaer’), Alexandria, Caesarea in Palestine, Acre (‘Acra’), Tiberias (‘Tybiriadis’), Arabia, Tyre, Sidon, and Beirut (‘Baruta’). In addition, he says he will include the names of the stations of Jerusalem in English for those who wish to visit and gain the indulgences. He describes how he had read about the pilgrimage sites and indulgences in the Holy Land ut inveni in rotula – that is, found them on a scroll (f. 4r) – and there’s no evidence, or even suggestion, that he made it to Jerusalem himself. Indeed, the places he mentions in his table of contents – including Acre, Tiberias, Beirut, Sidon, Tyre – would have been difficult to reach for a clerical traveller in the 1460s and ‘70s and suggest an inherited itinerary from an earlier book – such as Mandeville’s Travels – rather than an eye-witness account. Galgala, or Gilgal, appears in several written itineraries but was not a late medieval pilgrimage site of any status, but rather a town near Jericho mentioned in the Book of Joshua. 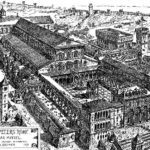 William Brewyn’s ‘Guide to Rome’. CCA-Add MS/68,f.10r. © Canterbury Cathedral. 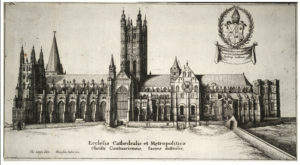 Reproduced courtesy of the Dean and Chapter of Canterbury. 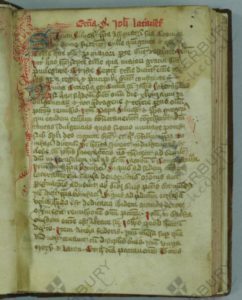 The pages relating to the Holy Land have been excised from the book – there are stubs where the folios have been removed (after f. 39 and after f. 94). Perhaps this speaks to Brewyn’s own assertion of the primacy of pilgrimage to Rome over that to Jerusalem: ‘if people only knew how great are the indulgences at the Lateran church, they wouldn’t think it necessary to go overseas (‘de ultra mare’) to the Holy Sepulchre’ (f. 16r). 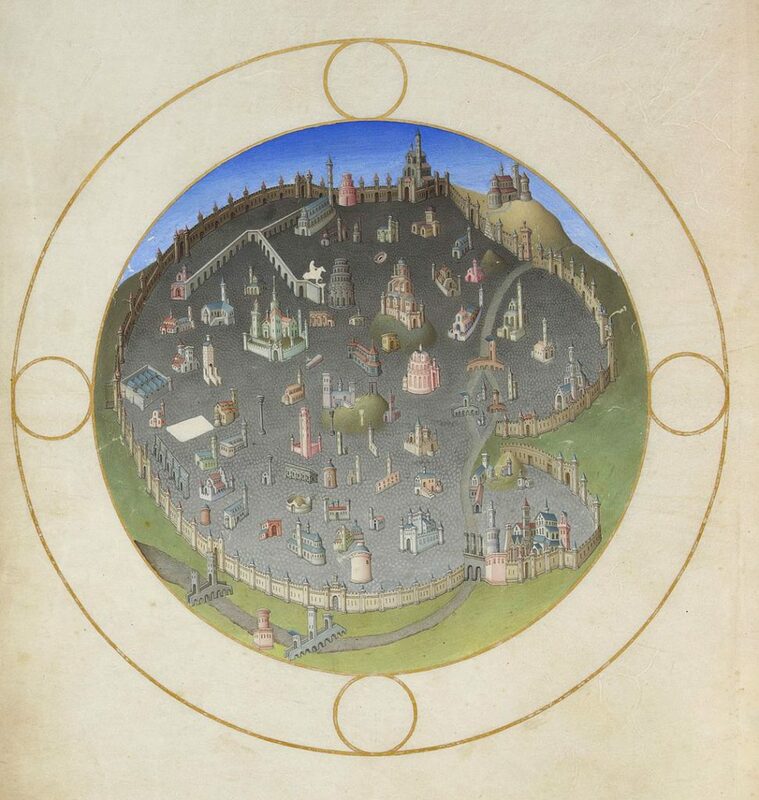 It also seems that some of the things Brewyn included in his account of Rome are also places he hadn’t seen himself: in an account of ‘snow balls’ (pilae nivis) on the walls on what was on the entry into Rome, Brewyn says ‘satis credo’, so I believe, or I believe well enough (f. 35r); at the Church of St Laurence outside the Walls in Rome are ‘plures alie quas nestio notiarum’ – ‘many other things I am unable to name’ (f. 35v). 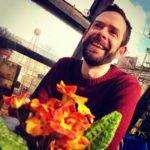 Brewyn’s book seems to be both a record of travel and of reading; it is at once a personal record of a journey made and a guide for others yet to make their journey. Large sections of Brewyn’s book are taken from key texts, especially saints’ lives from Jacobus de Voragine’s Legenda aurea (ff. 58r-94r) and geographical notes from Ranulph Higden’s Polychronicon (ff. 44r-49r), both of them widely-read and much-cited authorities. To be a traveller was not only to take to the road, but also to read and cite the correct authorities, and accordingly to order one’s experience of the world around an established body of textual knowledge. C. Eveleigh Woodruff (ed. and trans. ), A XVth. Century guide book to the principal churches of Rome compiled ca. 1470 by William Brewyn (London: The Marshall Press, 1933). Online images of the manuscript are available to view on the Canterbury Cathedral Archives and Library website.